We help business owners and families plan for wealth’s journey with clarity, diligence and confidence. How do your resources affect your life choices? How will your decisions affect your resources? It can be overwhelming to think about the totality of one’s life. We’ve always thought of life as a journey, throughout which we acquire certain resources that influence our choices and the paths we take - your wealth journey. These resources can include: values, capital, time, community and assets. 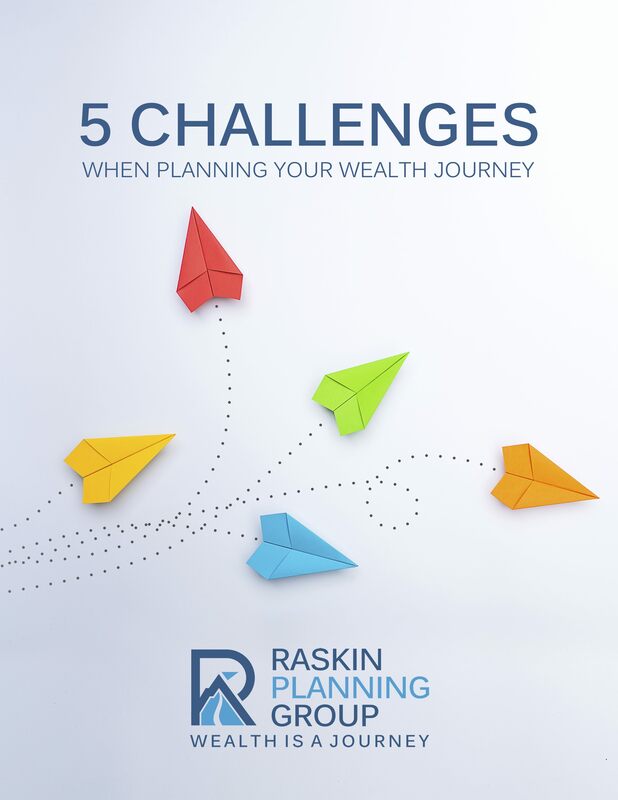 At Raskin Planning Group, we help you embrace your wealth journey. No matter where you are in your wealth or life, both are a journey worth planning well for. 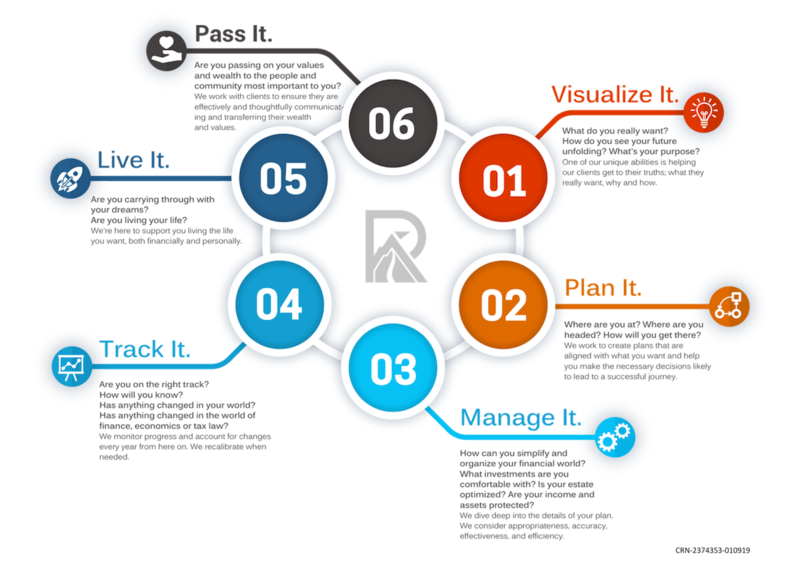 Our six step process is one we’ve developed and implemented for each of our dedicated clients. Our process sets the standard for how we work and who we work with; only those committed to the journey.